The beautiful Great Lakes State of Michigan consists of two large peninsulas. The Upper Peninsula has Lake Superior to its northern border. The mitten-shaped Lower Peninsula is bordered by Lake Michigan to the west and Lake Huron to the east. Michigan’s location, tucked between four of the Great Lakes, makes it an exceptional place for finding outdoor activities, particularly those involving water. Michigan boasts miles of coastline and an abundance of pristine waterways with excellent fishing, kayaking and canoeing. The lake and snow of Michigan make it a great place for winter sports such as skiing, dog-sledding, ice climbing and flat tire biking. Numerous state and national parks in Michigan offer exceptional hiking, camping, horseback riding and golf. The Gospel Barn– This entertainment venue in Hillsdale, Michigan hosts a wide variety of gospel music acts and Christian concerts. National Shrine of the Cross in the Woods– Beautifully situated in Indian River, Michigan, this shrine offers tours, special services and a nun doll museum. Old Rugged Cross Historical Museum– This lovely museum in Reed City, Michigan is located near the home of the author of the famous hymn of the same name, Rev. George Bennard. The museum has display depicting the history of the area as well as personal items of Rev. Bennard and city archives. Tiny Chapels- Michigan is home to several lovely little roadside chapels: Rimwood Chapel, Wayside Chapel, and Jordan Lake. 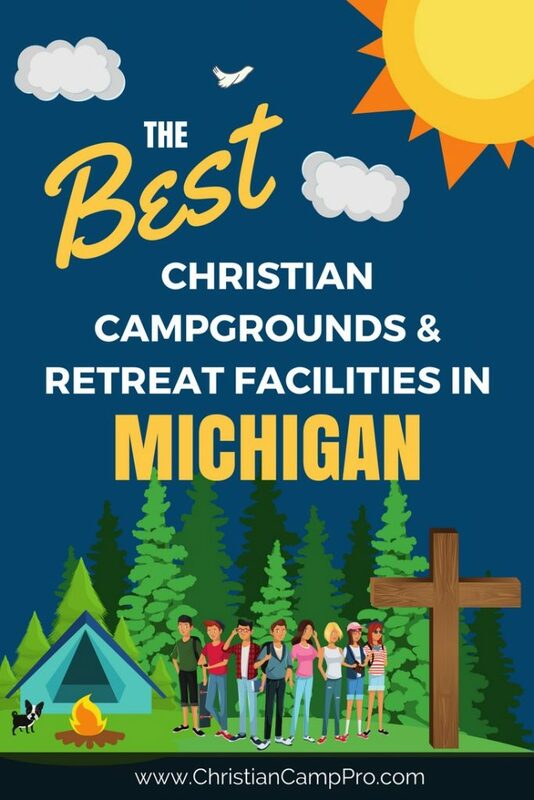 The state of Michigan offers untold adventures and makes a wonderful location for adult retreats and youth camps. With beautiful parks, plentiful waterways and coasts and rich forests, Michigan hosts a wide variety of one-of-a-kind experiences. There are unlimited possibilities for fun and exploration in this unique state.